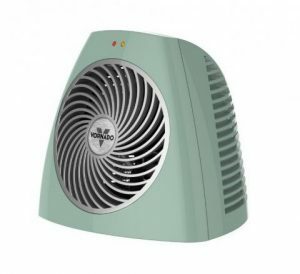 This recall involves Vornado VH101 Personal Vortex electric space heaters sold in the following colors: black, coral orange, grayed jade, cinnamon, fig, ice white and red. The recalled VH101 Personal Vortex electric space heater. In December 2017, a 90-year-old man in Chanhassen, Minnesota died as a result of a fire involving the recalled heater. Vornado has received a total of 19 reports of the heaters catching on fire. The units are sold at Bed Bath & Beyond, Home Depot, Menards, Orchard Supply, Target and other stores nationwide and online at Amazon.com, Target.com, Vornado.com and other websites from August 2009 through March 2018 for about $30. What if I’m Hurt by a Defective Product? The Oklahoma attorneys at Carr & Carr have extensive experience in product liability cases, and we have helped injury victims from across the country who were harmed by dangerous consumer goods. We offer free consultations to help you understand your options, and we don’t charge unless we recover compensation on your behalf. The accomplished team of injury attorneys at Carr & Carr is dedicated to helping victims of defective products recover the financial security they need to restore their lives. We proudly serve clients from Oklahoma and northwest Arkansas via our offices in Oklahoma City; Tulsa; and Springdale, AR. In cases related to defective products, we can represent clients across the country. If you or a loved one suffered harm due to a potentially defective consumer good, please call us at 877-392-4878 for your free case consultation or contact us online to tell us your story now. Vornado toll-free at 855-215-5131 from 8 a.m. to 5 p.m. CT Monday through Friday or online at www.vornado.com and click on “Recalls” in the lower right corner of the homepage or www.vornado.com/recalls and click on the VH101 Personal Heater recall button for more information.